After eight years on the air, Desi Arnaz did not love Lucy any more. On screen, they were dynamite, a comedy pairing more successful than any Hollywood had ever produced. But when the cameras stopped rolling, they fought, screamed and threatened each other more each season. Finally, an argument in Desi's production office turned violent. 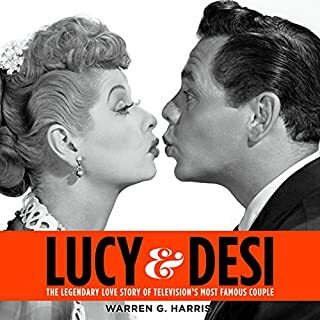 Lucy hurled a cocktail glass past his head, and Desi demanded a divorce. He moved out that night. After nearly 20 years, America's favorite couple was finished. hated to see this book end! this book was worth the money! Glad I got it!